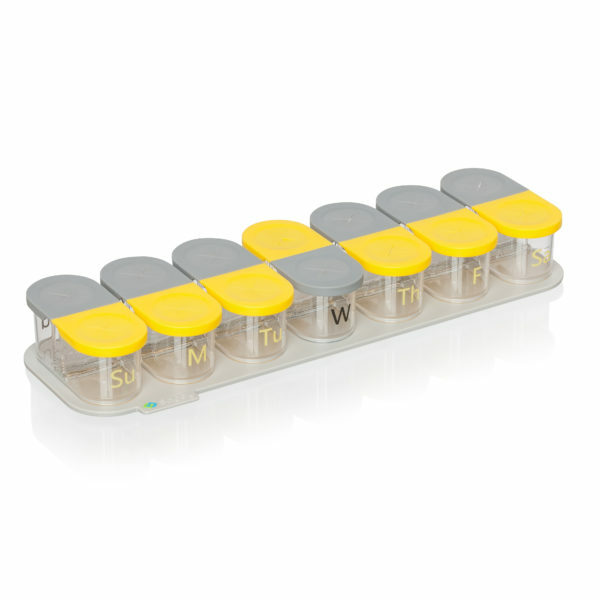 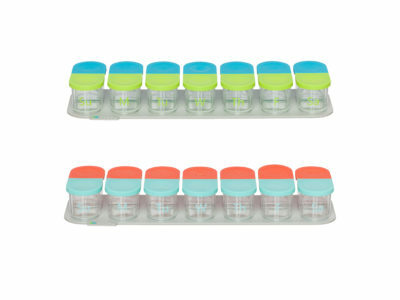 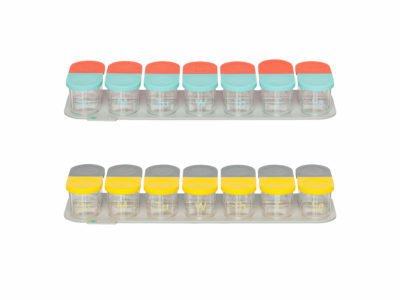 The Sagely SMART Weekly Pill Organizer improves the experience of managing pills. 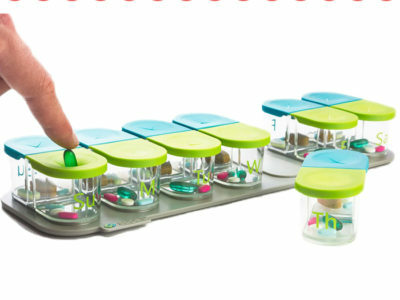 It consists of 7 separate pods that sit on a magnetized base to keep them in place. 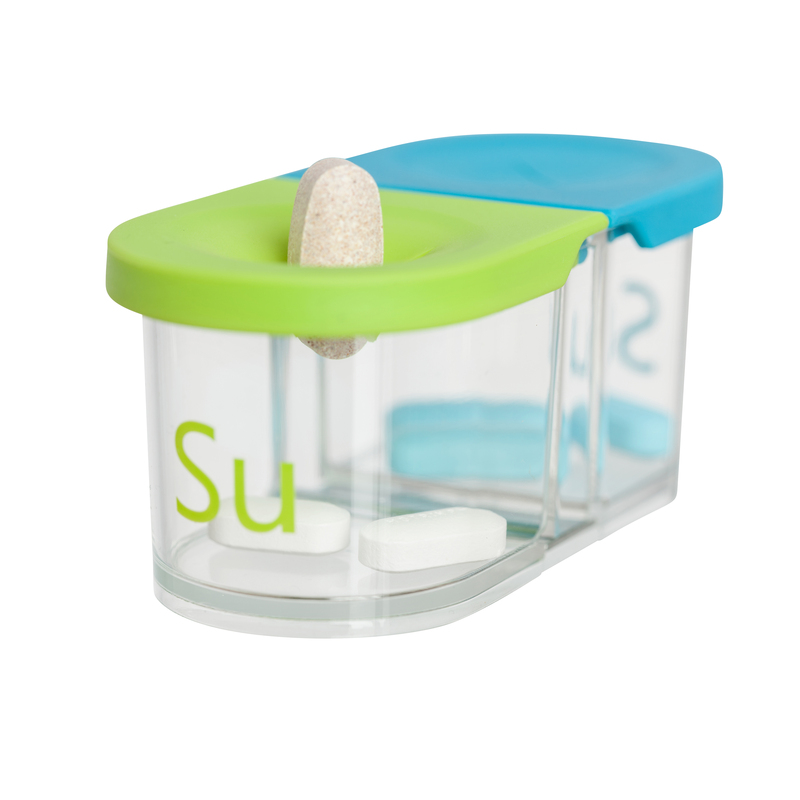 The pods feature push-through lids for easy loading of pills. The pods can be kept on the base or be taken with you for a day or a long weekend. 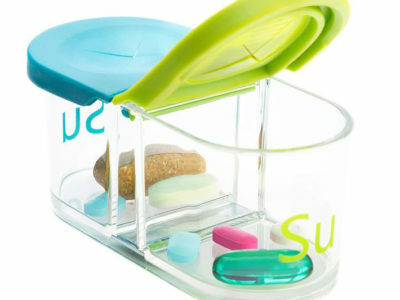 The organizer is BPA-Free and large enough to fit large supplements like fish oils. 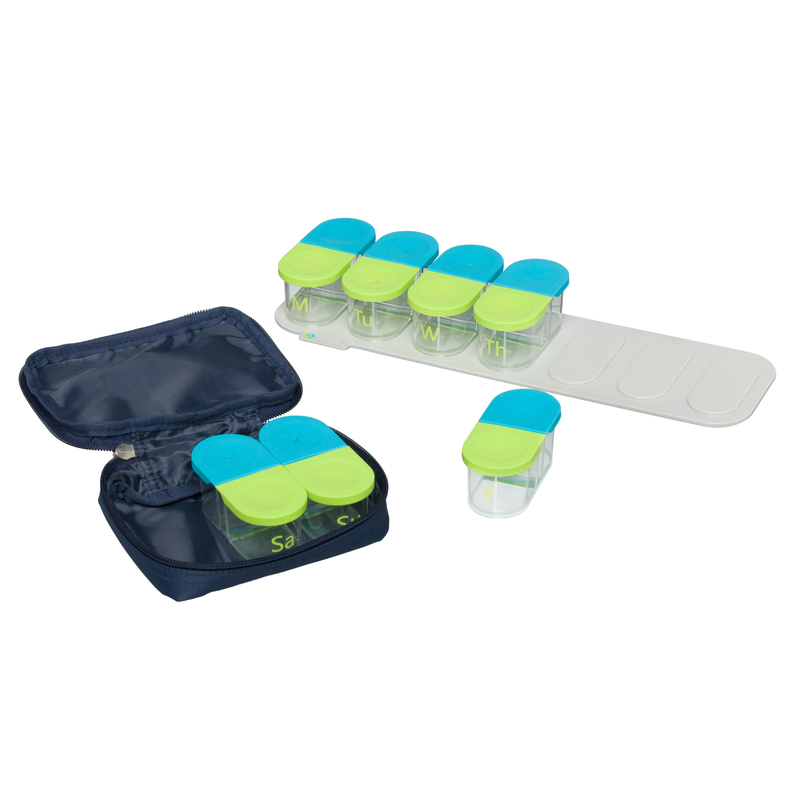 The Sagely Weekend Travel Pouch was designed for those who are on the go! 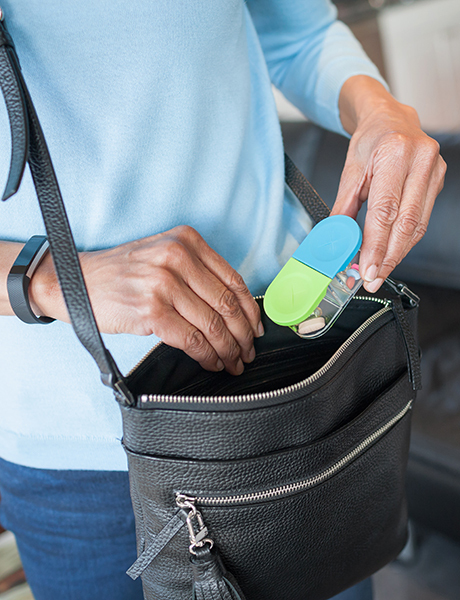 perfect to toss in your bag for a weekend getaway. 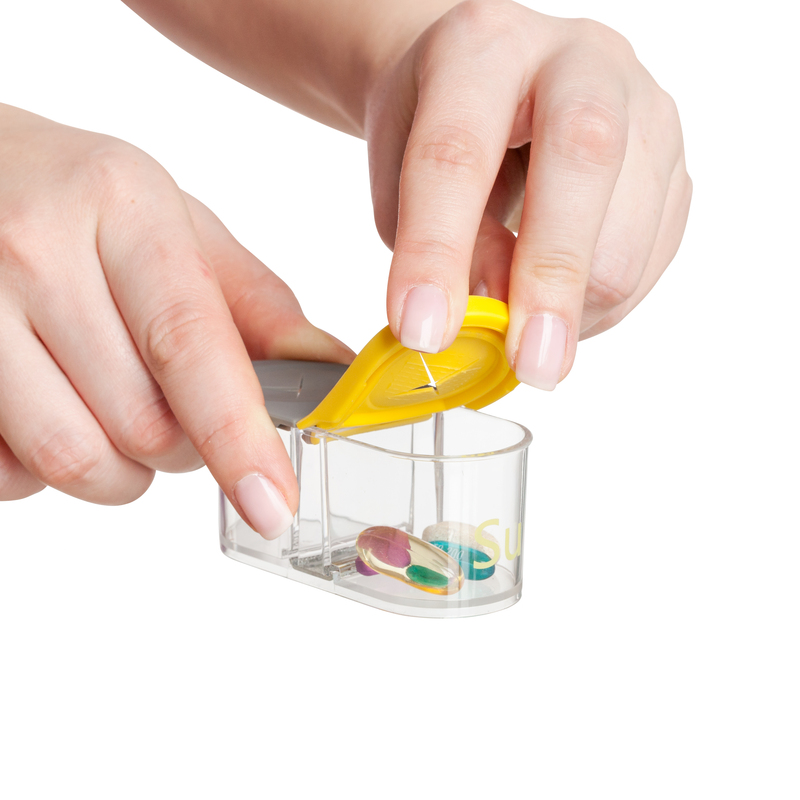 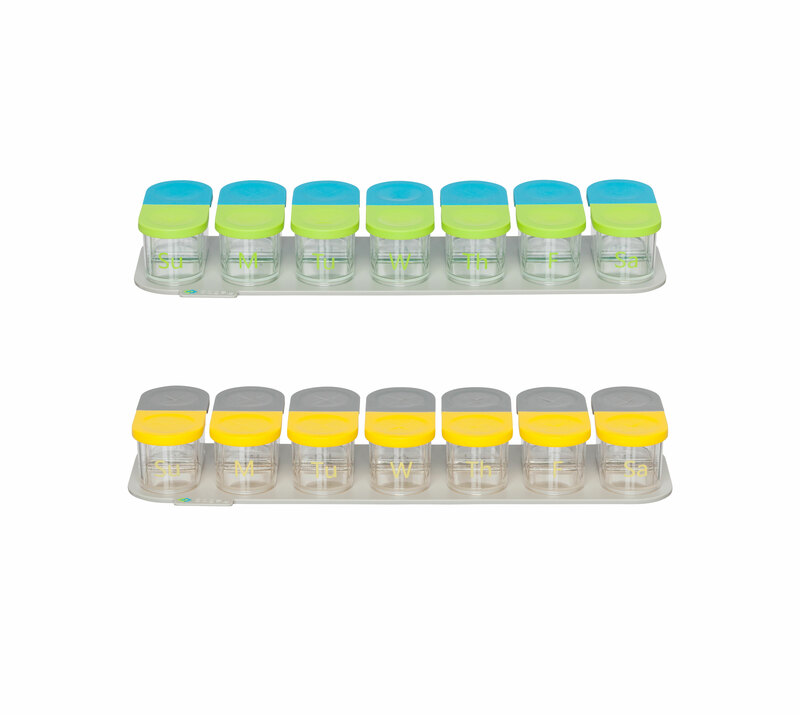 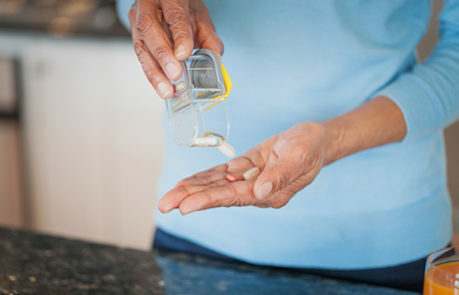 Fits large pills like fish oil and Vitamin D.
Push the pills from the lid into the container to improve loading. 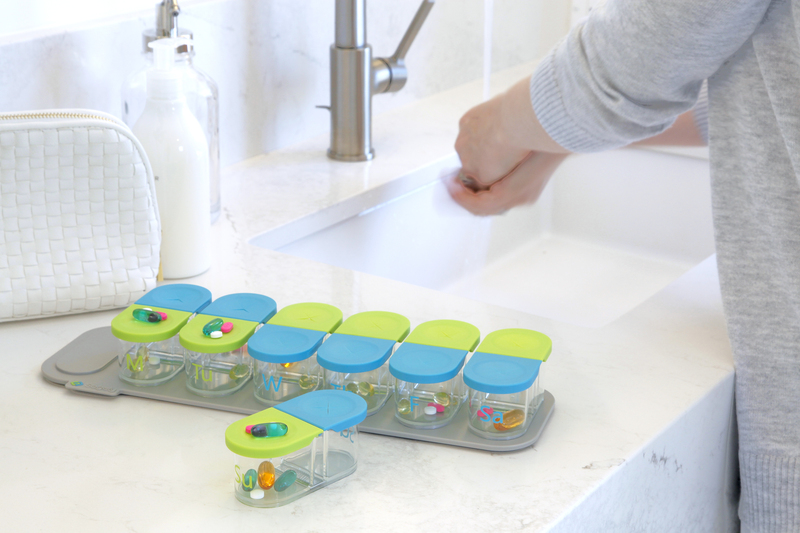 Non-toxic materials that are safe for your kid and pet-filled homes. 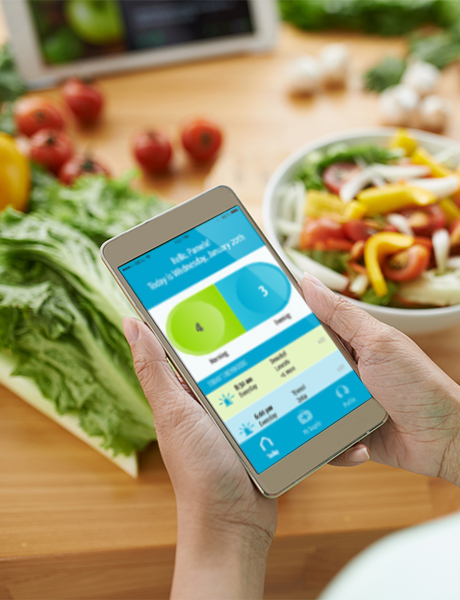 © 2017 Sagely. 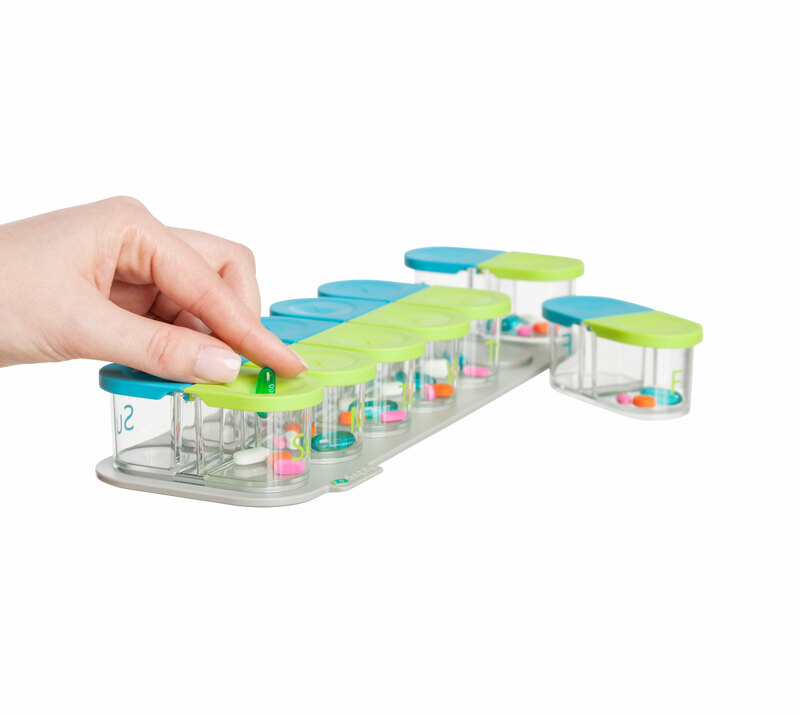 Web design by efelle.